Our history is as rich as our food… South Daytona is a sister city of Daytona Beach and Ormond Beach, famous for racing since the late 1800’s. One of the early Racing Icons was "Buck" Buchanan, a winning racer in the 1900’s and the proud owner of South Daytona’s first permanent Barbecue restaurant. Locals still remember their first barbecue meal at Buck’s. In the 1970’s, Sonny Tillman, founder of Sonny's Barbecue and his extended family decided to share their love of barbecue and one of their first locations of the now international chain was in South Daytona. Then just the local surfer kid, Tim Carner began his apprenticeship for what would become his lifelong career at the then new Sonny’s Restaurant in South Daytona. Years later, Tim would come to perfect his own brand of Barbecue at two restaurants that he opened in Sanford and Mount Dora culminating with his purchase of the old Sonny’s building in South Daytona where it all began for him. 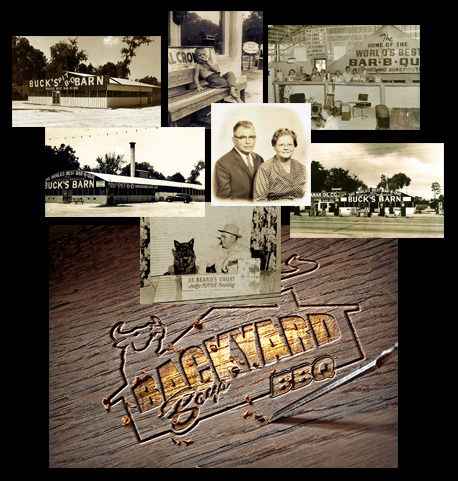 Now, the newly renovated Restaurant has become Backyard Boys BBQ and from the specialized pits and ovens to the amount and type of wood that is used to smoke and flavor our meats, Backyard Boys Award Winning Barbecue and Delicious Homemade Sauces are tastes that every Barbeque Lover should experience!